Today I'll be reviewing one of the most underrated eyeshadow from MAC! When it comes to highlighting shades I always hear shades like Ricepaper, Vanilla and Naked pigment from MAC and although they are fabulous eyeshadows there is one which is quite underrated in my personal opinion and that is MAC Shroom eyeshadow! MAC Shroom is described as Soft Beige with shimmer (Satin) and retails for 720 INR for refill pan or 15$. I first heard about MAC Shroom from Jaclyn Hill who is my absolute favorite makeup guru on You Tube! She raves about MAC Shroom eyeshadow all the time, its her favorite highlighter for brow bone. I usually go for matte brow bone highlight as the ones which I have are way far too shimmery for my everyday wear but this routine has changed ever since I got Shroom. Shroom is satin soft beige shade and the reason why it is so perfect is that its neutral, not too pink or not too golden! It does not have obvious shimmer but its not flat either. The texture is smooth & buttery and blends beautifully. It does not feel dry or chalky at all. The shade particularly goes well with warm colors in my opinion and works on all skin tones. The pigmentation is not over the top just the way I like my highlight shades to be. I use my MAC 227 brush to apply the highlight on my brow bone and it works perfectly, any flat shader brush works just fine. Its a gorgeous shade for all over the lids for lighter skin tones, since I have very dark eye lids I don't like to use this shade by itself all over the lids. I also use it sometimes to highlight inner corners of my eyes just to open them a bit. Once blended the over all finish is fantastic! It gives a very polished appearance to your eyes and yet is very subtle if you know what I mean. This is definitely a must have eyeshadow from MAC, I use it every single time when I highlight my brows and this is the only product I reach for! Highly Highly Recommended! 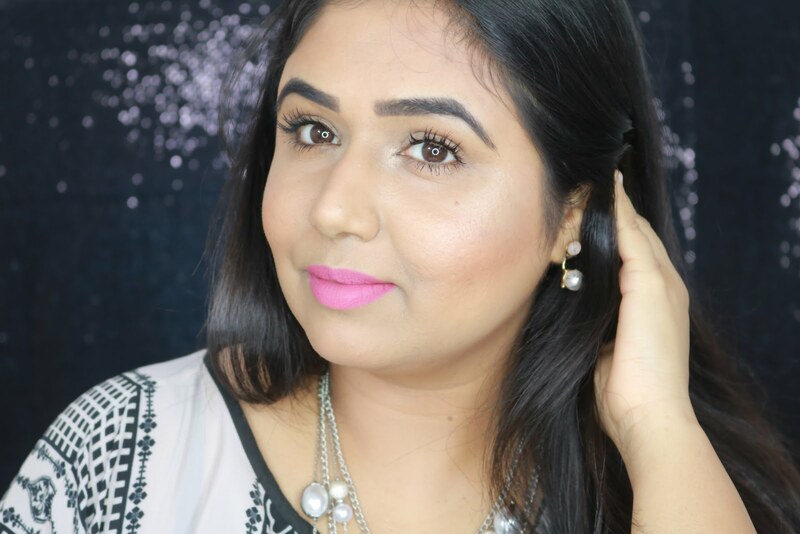 This is a must have highlighter Mayuri! its so pretty and subtle..you could even wear it to work! this looks beautiful on u...somehow i have stopped using single eyeshadows because of palettes...m not able to use them so ultimately stopped now! This shade looks lovely on the lid if you are doing a really soft neutral look, which is one of my favorite ways to use it! Wow! this will make such a great highlighter!! <3 Lovely shade! !